Lenox, Massachusetts, is a New England town that is home to many tourist attractions including the historic Berkshire Scenic Railway Museum, Tanglewood (the Boston Symphony Orchestra’s summer home), and Ventford Hall Museum. But, Lenox is not just a tourist attraction; Lenox is home to many year-round residents and offers them a safe beautiful location to live, work, and play! The pest professionals here at American Pest Solutions offer home and business owners in Lenox comprehensive pest control programs to control and eliminate the many pests that also call Lenox home. No matter what pest is causing problems for your home or business, the professionals at American Pest Solutions has a safe and effective solution! Spiders, mosquitoes, carpenter ants, mice, and centipedes are all examples of common pests that invade Lenox homes. Pests can invade your Lenox home any time of the year; this is why year-round protection from American Pest Solutions is the best way to protect your home from common household pests. Our professionals can safely and effectively control and eliminate pests through our environmentally sound green pest management program or our Pest Guard home pest control plan. Contact us today for more information about our Pest Guard home pest control plan, our Green pest management program or our other residential services including bed bug control, bird control, mosquito control, rodent control, termite control, and wildlife control. Bed bugs are pests that really do live up to their bad press. They hitchhike their way uninvited into buildings where they hide in dark, hard to reach areas. They breed quickly, and they feed on their hosts as they sleep. Bed bugs don’t transmit any serious diseases, but their presence can cause sleepless nights, itchy bite marks, stress, and sometimes even embarrassment. At American Pest Solutions, we never want any home or business owner to be embarrassed by a bed bug infestation; because the truth is that these tiny parasitic pests can find their way into any Lenox home or commercial property. We understand that quick action is needed when it comes to bed bugs, which is why our bed bug control services provide a fast, long-term solution to bed bugs. To eliminate any sized bed bug infestation from any home or business, we start with a K-9 bed bug inspection. Our K-9 inspections are fast, non-invasive, and extremely efficient. After the inspection, our professionals will develop a plan based on the scope of the infestation. In most cases, we use a combination of non-chemical controls (vacuuming) and chemical pesticides. To get the best results three treatments are usually completed within a one month period. Don’t delay bed bug treatment for one day; contact the bed bug control experts here at American Pest Solutions today! 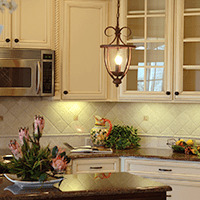 By choosing American Pest Solutions to protect your Lenox, MA business from pests, you are choosing a pest control company that is dedicated to ensuring that all your unique needs are met and that pests will be safely and completely eliminated and controlled in and around your facility. By partnering with us you will never have to worry about pest issues again! Whether you own or manage a medical facility, restaurant, warehouse, grocery store, or educational facility we can form a customized pest control plan to protect it, your employees, and customers from pests and their dangers and damages. Twenty-four hour service to all of our commercial customers. Fully licensed technicians that are continually field trained by our staff entomologists and who can handle any pest problem that is thrown at them. Specialized pest control services for a variety of pests including: bed bugs, pest birds, rodents, termites, ants, roaches, and wildlife. Transparent Accountability- a trademarked program exclusive to us. The program provides secure online access to pay invoices, view and update account information, view and print statements, schedule service, view billing and service history, and detailed device inspection with bar coded reporting. We understand the needs of our local customers; we are a local business that has been part of the local business community for over 100 years. All of our employees are friendly, professional, well-trained, skilled, and very knowledgeable. Our company president is a board certified Entomologist. We are a QualityPro Certified company. We use Integrated Pest Management (IPM) strategies to resolve any pest issue in the most environmentally responsible manner possible. Contact us today and find out why so many Lenox, MA, residents choose American Pest Solutions as the solution to their pest problems!